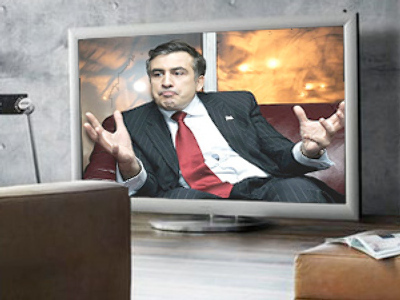 The former Georgian Ambassador to Russia will head the opposition TV channel in Georgia. The “Maestro” channel has become known in Georgia for its anti-government programs. One of its most successful reality-shows “Cell Number 5” has drawn some seriously-high viewer ratings to Maestro. It featured Georgian opposition leaders in a makeshift prison built in a studio, to talk current affairs – and dissect the current government. “Cell Number 5” gained enormous popularity in Georgia as the only program which was open to anyone. Now the channel is getting bigger. A former Georgian Ambassador to Russia, Erosi Kitsmarishvili, an outspoken critic of the government, is now to rule Maestro. Kitsmarishvili launched the now pro-government “Rustavi-2” channel thirteen years ago – and is largely responsible for turning the network into the country’s most-popular media source. He has the same plans for Maestro, with editorial freedom as its basis. “I work with all those who cannot get access to other channels to voice their opinion openly; journalists who do independent investigations and those who are extremely qualified in their job, but are not welcome on other channels,” states Mamuka Ghlonti, Maestro channel director. The government itself, surprisingly, also praises Maestro’s new owner. And it’s already worried about the influence the channel could call up. “He’s experienced. He built up a TV channel once and is capable as a politician. Everything depends on what this TV station will do,” Gigi Tsereteli, the Georgian parliament majority leader told RT. Right now, the channel’s makeover is still in the works. It is yet to get a new studio and work out its programming. But once it gets going, Maestro, hopes to live up to its name and become the conductor to a chorus of independent – and objective – journalists in Georgia.